A very good sounding release with lovely dynamics. A good reproduction of the original inner sleeves and the booklet. Can't moan at all. WOW! Put it simply this way: I agree with racso 2099 and david_carter1969. This pressing is absolutely amazing. 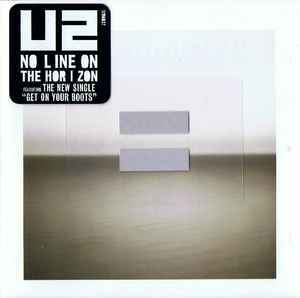 Until now "No Line On The Horizon" has been my least favourite album in U2´s back catalogue. Back in the day -2009 that is- I was very disappointed with the "muted" drum sound on this album. It made me wonder where´s all the power in performance and the production. My most humblest gratitude goes to The Edge, Scott Sedillo and Declan Gaffney: I can now fully appreciate the music on this album. My attention is now in the music, not in aural weaknesses which used to bother me in the version released ten years ago. Of course there are people who love this album as it was originally released. And probably some of them raise their voices when they hear how the overall sound of the album has been changed. For the better I think. You can´t please everybody, but I´m certainly more than pleased with this release. Great job! Download code is great addition too. The package looks wonderful, but what else could you expect if we keep in mind the original artwork of the 2009 release. A fantastic pressing full of warmth and depth, every instrument is clear and i am discovering sounds I hadn't heard . The vinyl is clear as to be see through unlike some labelled as clear and is a wonderful package as a whole. Also a shame Redanka's superior mix of Magificent wasn't included instead of Pete Tongs rather lame mix. Wow . The remaster in this press is absolutely amazing. Very clearly and you can notice separation between guitars and drums noticeably. I recommended a lot. I got the ultra clear Vinyl. Anyone know how many of these were pressed? Haven't seen a number listed. is there are any sound or anything other improvements over original? Maybe somebody have high resolutions photos from this album? If somebody can help please send me info thanks!